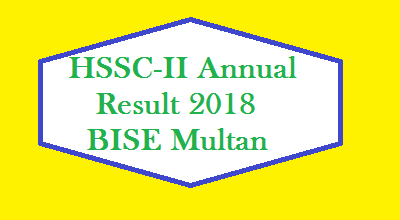 Today BISE Multan Board is announcing annual result of matriculation exam 2018. The Top position holders names has been released yesterday through an press release. Copy of list of toppers is given bellow. It is mentioned that Maham Fatima, the student of Khanewal public school and college (Girls) has stood first. She has obtained 1090 marks out of 1100. While second position has clinched by two students. One is Safa Nabeed of Vehari and other is Zuhaib Rafique of Peoples Colony Mumtaz Abad Multan. They both have got 1088 marks. Third position has been got by three students. Two belongs to Burewala district Vehari and one students belongs to Nishat high school Lodh Colony Multan. All has obtained 1086 marks. Multan board is administering SSC and HSSC exams in following districts of Punjab. They belongs to south Punjab region. The first one is Multan district, which included Shujabad and Jalalpur tehsils. Second one is Lodhran distrcit. It has Kehror Pacca and Dunyapur tehsils. THird one is Vehari district. It has Burewala and mailsi tehsils. While fourth and last district is Khanewal. It has Kabirwala, Mianchannu and Jahanian tehsils. 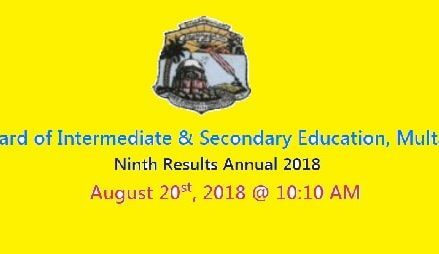 Dera Students:- Write Your Roll Number in Comment Section To Get Result Online Here. We pray for your success in every exam of life. Wait Dear Abdullah Khalid…We are coming with SSC-II Result 2018 of BISE Multan soon..